The perfect accessory to add to your super cute yoga look. We designed this bag with you in mind, the casual yogi. 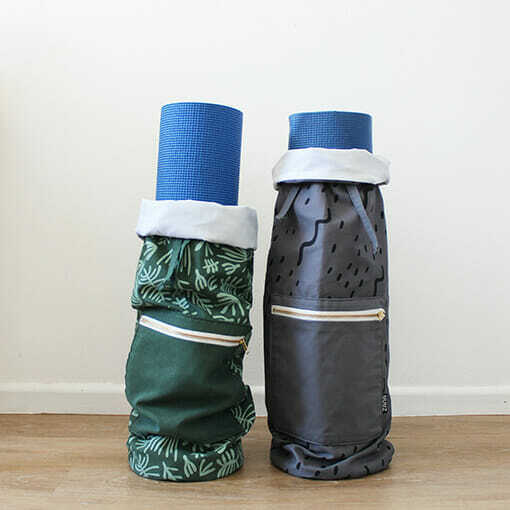 The bag is spacious, roll your mat and drop it in, fully waterproof lined inside so your mat slides in easily. Draw string closure at the top and convenient outside pocket for your phone & your keys. 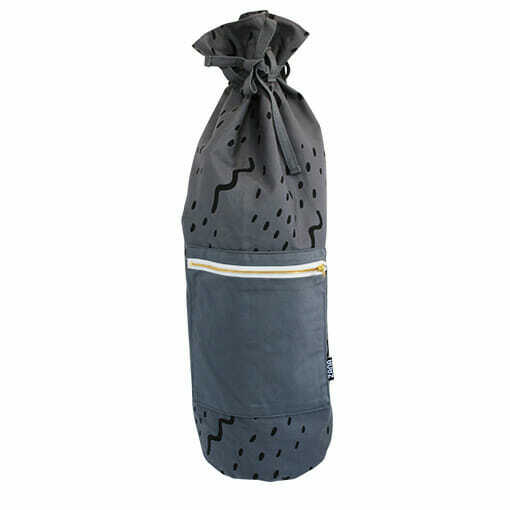 You can do what we do, the bag is also big enough to slide a small towel down the side and a water bottle. Get it all in there while you rush out the door to make your class. 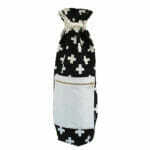 The adjustable strap is designed in such a way that you can carry it upright while walking easily. Even for long distances. 100% cotton exterior, screen printed. Made in Cape Town, Machine washable.